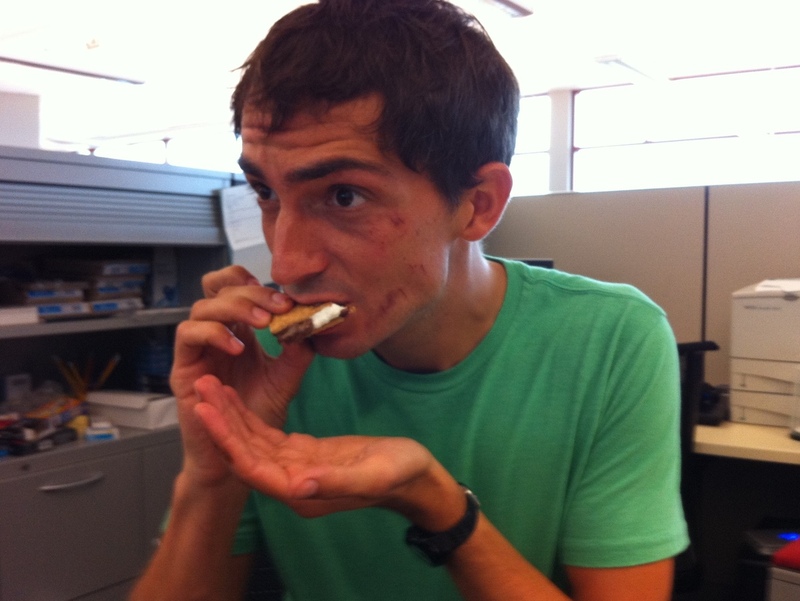 Sandwich Monday: Bacon S'Mores : Wait Wait ... Don't Tell Me! A recipe for bacon s'mores has been making its way around the Internet today, prompting many people to wonder how they hadn't thought of it before. It was probably like this when a caveman first figured out the wheel and put something about it on his blog. Mike: When pigs have their own campfires I bet this is the scary story they tell... "and his s'mores were filled with bacon ... and he had a hook for hoof." Ian: The bacon is like the kid they bring in to freshen up an aging sitcom. It's Olivia on The Cosby Show. Basically what I'm saying is this sandwich is so Raven. Eva: If I was chocolate, I'd be feeling pretty resentful right now. All those years of melty work, and bacon comes along and just steals the show. Blythe: I don't get the big deal. This is just adding bacon to my traditional breakfast sandwich. 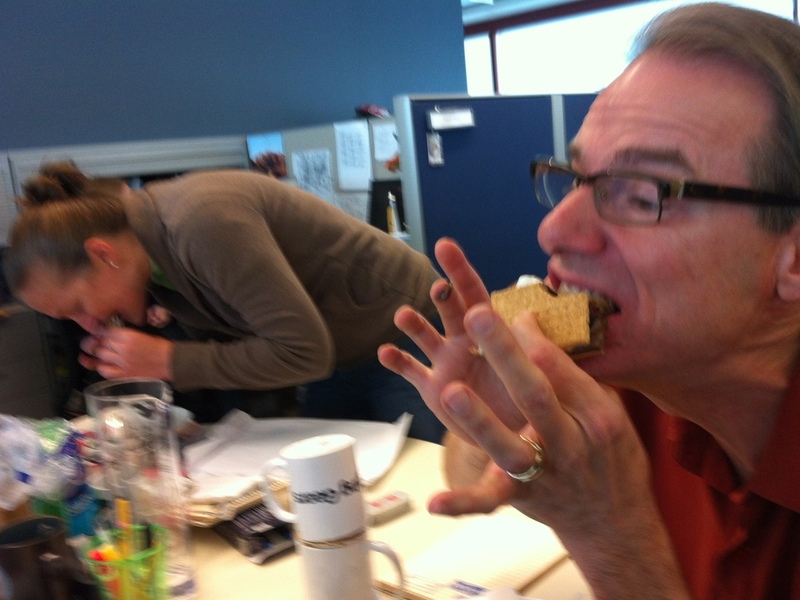 S'mores are always a challenge. Ian: Boy Scouts can make these to earn the coveted Obesity Badge! 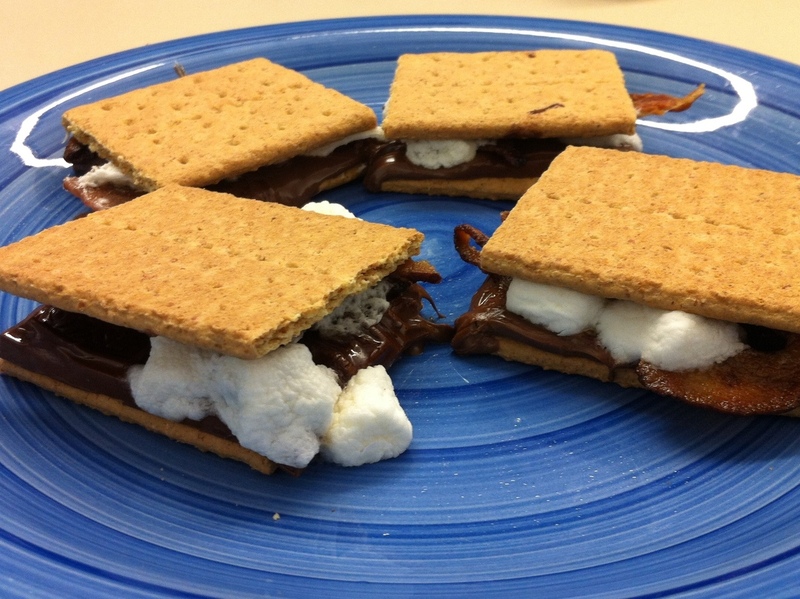 Blythe: S'mores should be at least six degrees from bacon. Ian always uses a "safety hand" to prevent any unnecessary sandwich loss. 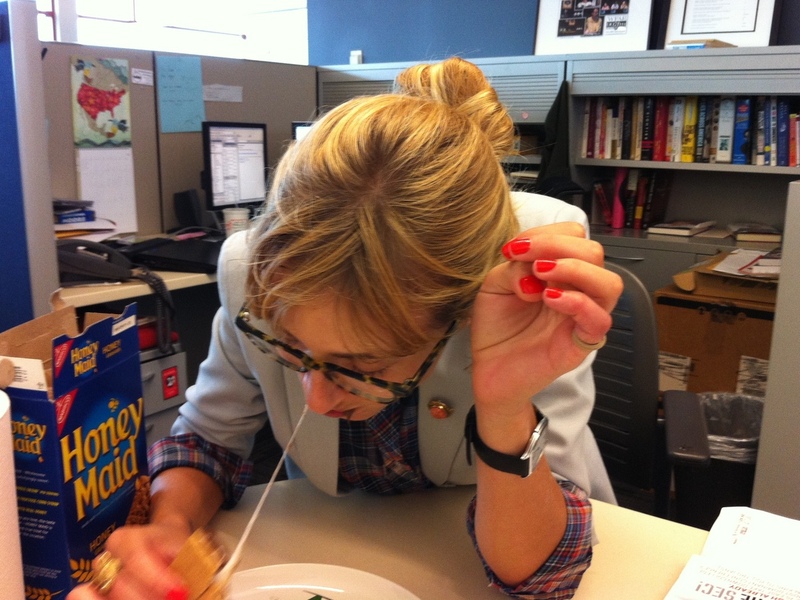 Ian: This proves the old adage: If it ain't broke, you should still try putting bacon on it. Eva: What happened is whenever bacon hears the word "more," he just assumes his services are needed. Mike: You know what though? 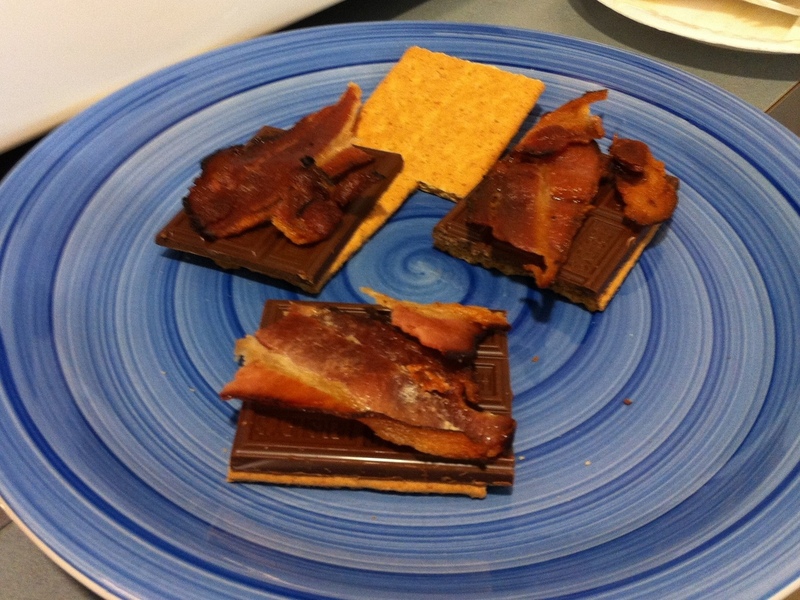 Don't eat the bacon s'mores at the Lord of the Flies campout.